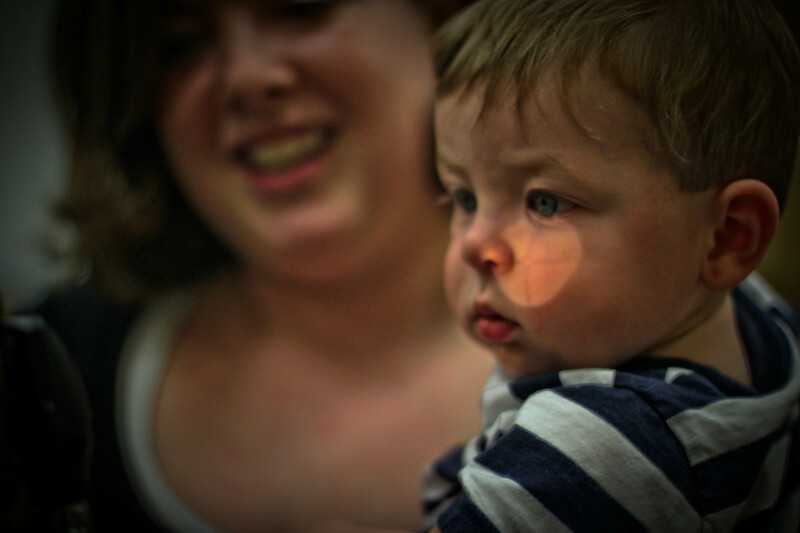 ← Next Ladder Meeting: Prenatal Healthcare! 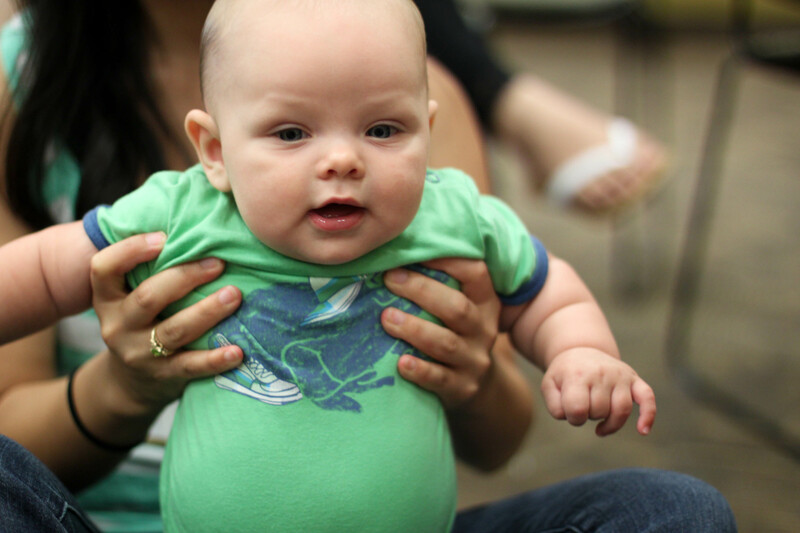 July Meeting Recap: Babies! Lots of them! 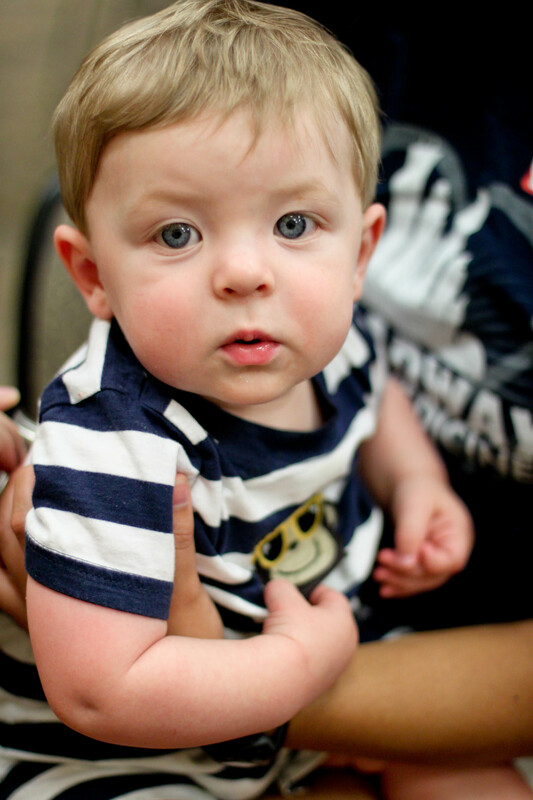 Nobody could resist the cuteness of our youngest ever Ladder scholars during the July’s meeting…nobody! Our last meeting was about babies, the care of their mother as they march along thru their pregnancy (also called prenatal care). Prenatal care is important to continuously check on the baby and make sure that they are growing in a healthy way with a good weight, a good heart and no infection. When they are in their mother’s belly, babies usually take about 9 months to develop before they can come out safely. 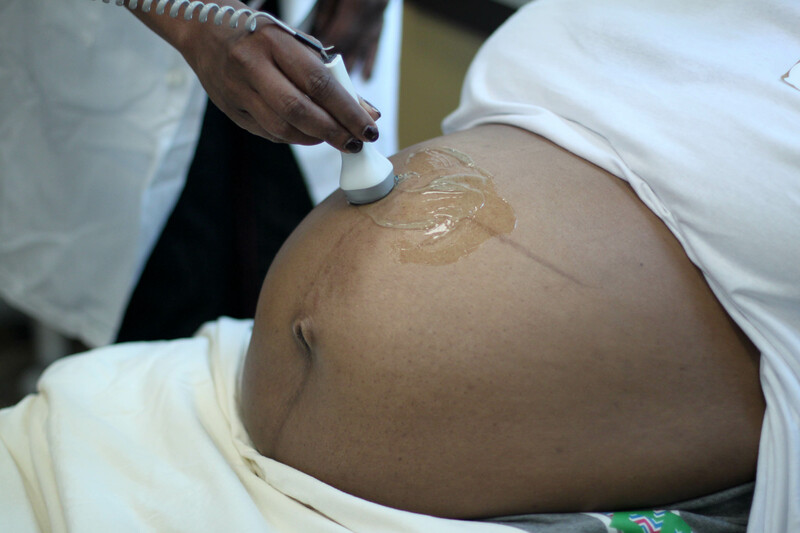 When they are about 10 to 12 weeks old in mom’s belly, you can use this machine called a “fetal Doppler” to hear their heart beating! Here we have an awesome mother who is expecting a baby, and she volunteered to have us listen to her baby. We put gel on the mother’s baby before listening with the Doppler. Gel helps to reduce extra noise that can happen when the doppler moves on the skin. The heart of adults usually beat between 60 and 100 times per minutes, but because babies are growing so much, their heart beats faster, around 160 times per minutes! From about.com here is a heartbeat of 160 beats per minutes at 10 weeks (link to source). Sometimes, babies get excited too early about coming out of their mom’s belly. When a baby is born after being in mom’s belly for less than 37 weeks, they are called premature. They can be quite tiny and require a lot of extra care and handling, and will also have smaller diapers, smaller medical instruments compared to babies who are born at or after 37 weeks. Here is also a small blood pressure cuff for a tiny baby. 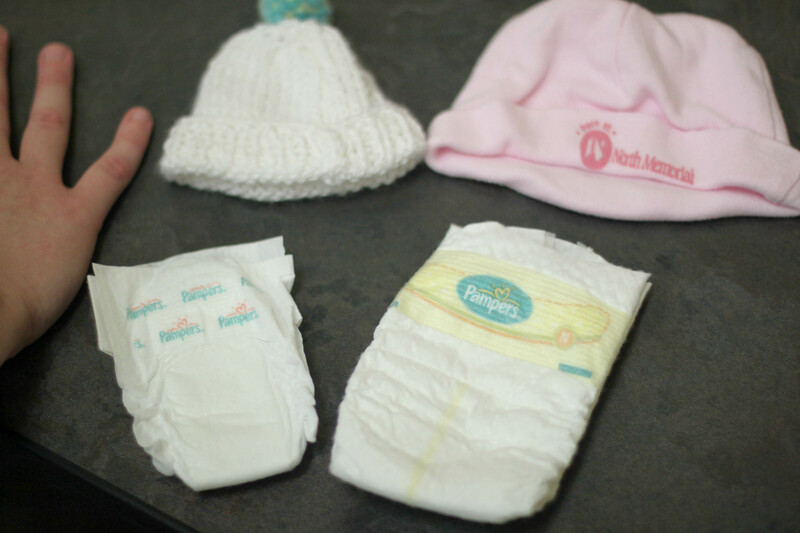 You can compare the diaper size (left) for a premature or small babies with the hand of a scholar here. Adults can stand still, but baby and kids can be quite difficult to examine at the doctor’s office because they get squirmy. It is best to examine a baby on their parent’s lap, distract them with noise or toys and satisfy their curiosity by keeping them entertained! One fun fact: Never gave honey to baby before the age of one year old! It can give them a disease called infant botulism where they become constipated, very weak, lethargic and unable to feed. 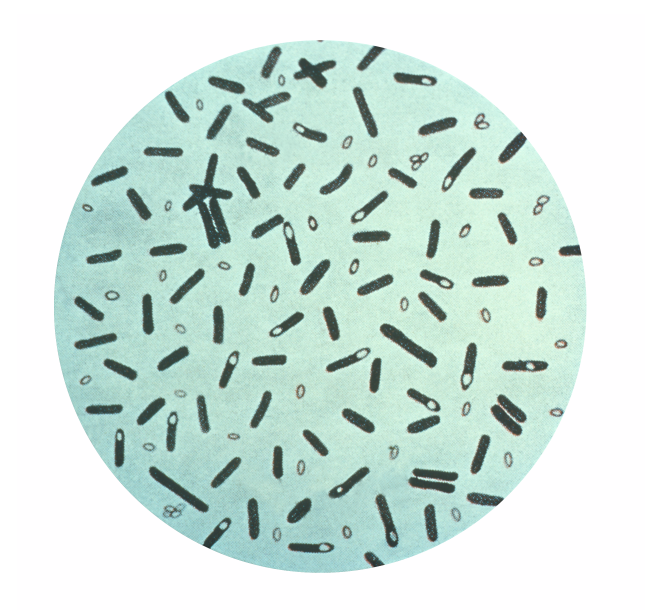 Infant botulism is caused by a funny-named bacteria called Clostridium botulinum. 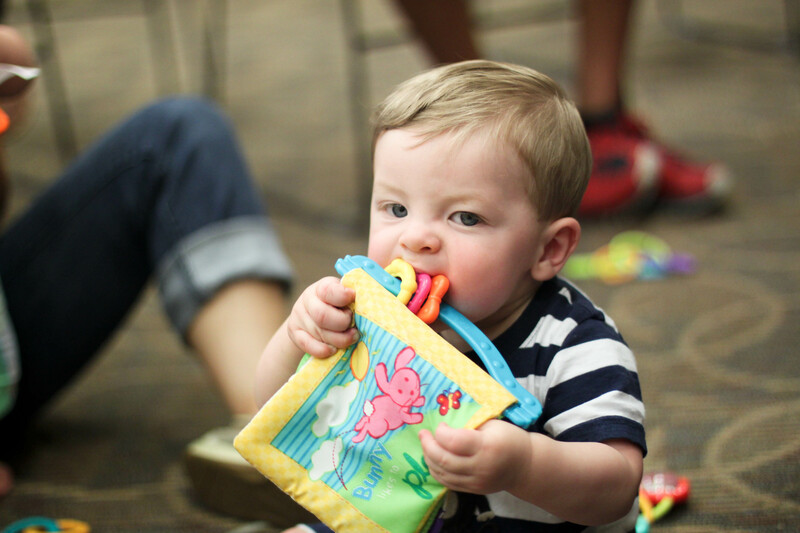 Lastly, babies are very intellectually curious, put everything in their mouth, does not matter what it is! So it is important to keep small objects away from them, things that they can accidentally swallow. If the object goes down to their lungs, it can cut off their air and leads to a lot of problems very fast. That includes foods such as grapes, hotdogs, nuts, popcorns. A lot of medical personnel take care of mothers and their babies: nurses, nurses, nurses! Family medicine doctors, pediatricians, obstetrics/gynecologist, pediatric surgeons. Trivia question: At what age do babies start walking? 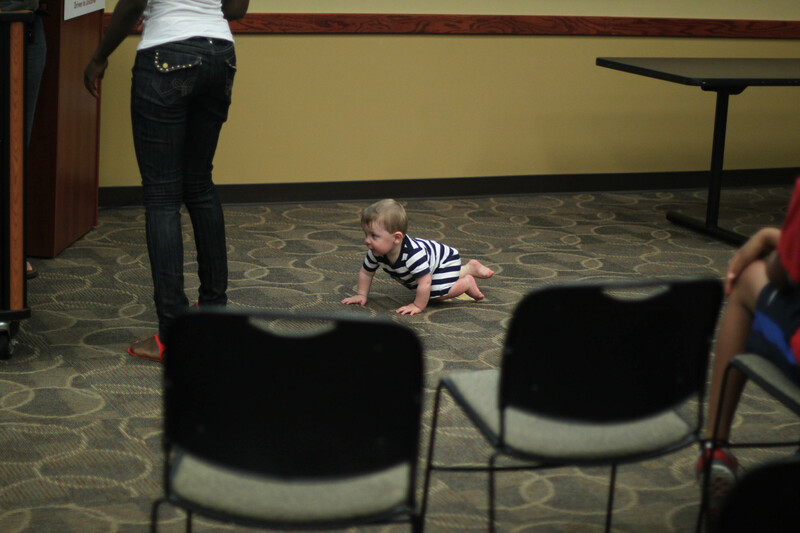 Here is one of our youngest Ladder scholar rushing to the stage to answer a question about skin diseases! 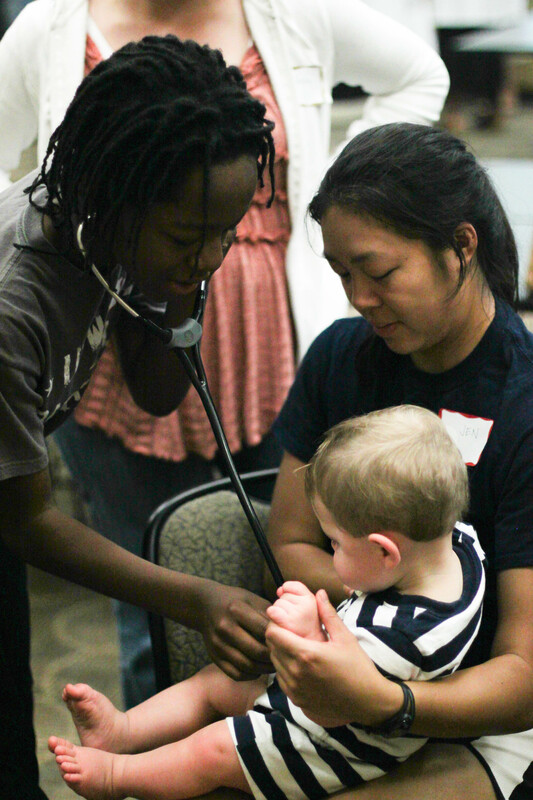 The Ladder is a Society of Medical Scholars ages 9 to 99, and meetings are the second Saturday of every month and open to anyone and everyone. You’ll have a lot of fun, get a free lunch, and probably even learn something in the process. The next meeting is August 10th at the UROC building (2001 Plymouth Ave N) in North Minneapolis! This entry was posted in meeting recaps and tagged babies, doppler, prenatal care. Bookmark the permalink.